How much did the alignment set you back from T.D ? 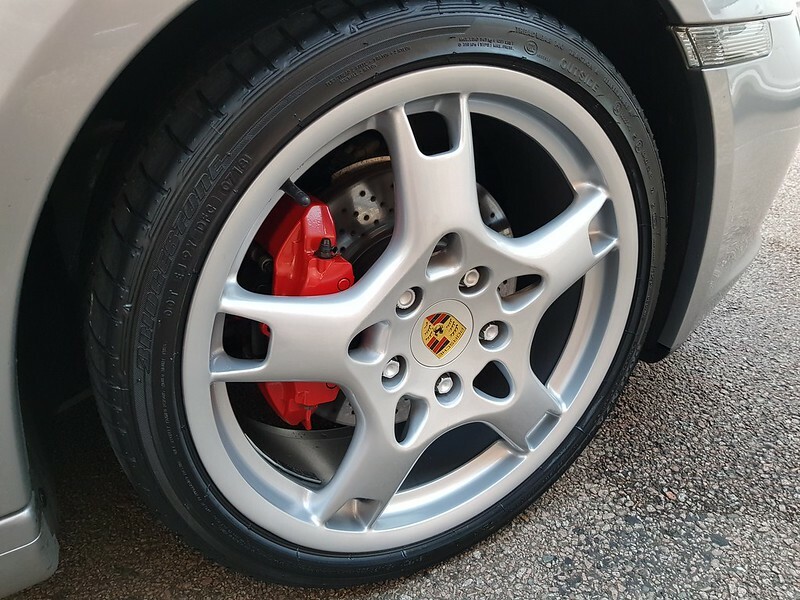 I've heard Porsche centres want around £200 for a full setup! Thanks James, the alignment was £160 inc vat, took about 1.5 hrs and road tested. They give the option of custom or factory settings, opted for factory for the time being. 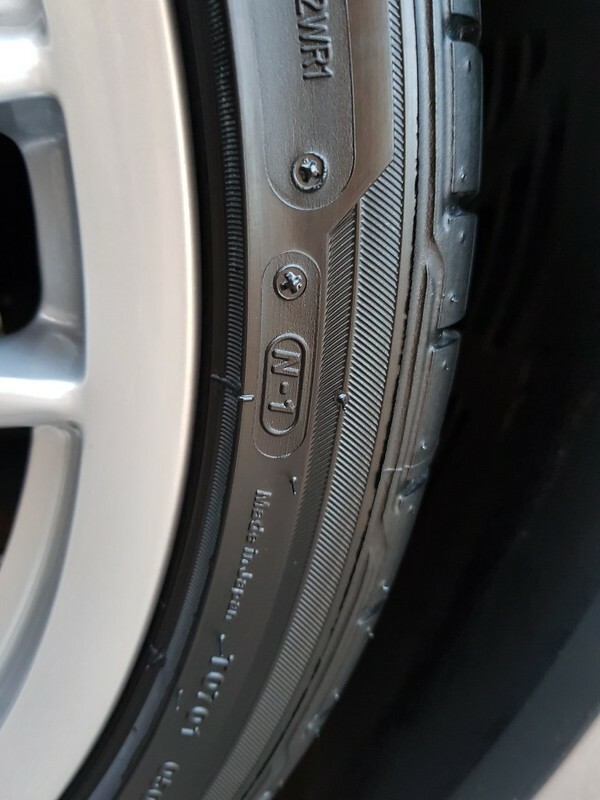 I had £800 worth of Michelins fitted in February this year and I'm monitoring the wear, as the previous tyres (that were on when I bought the car) ended up being well worn on the inside edge. Not that theres much wants doing. Cleaning up the calipers and a bit of paint/underseal on the underside maybe. Sorry been a bit lacking with the updates, done a few bits and bobs and will add them to the thread now. Been a little busy with work and holidays, so updates in no particular order. 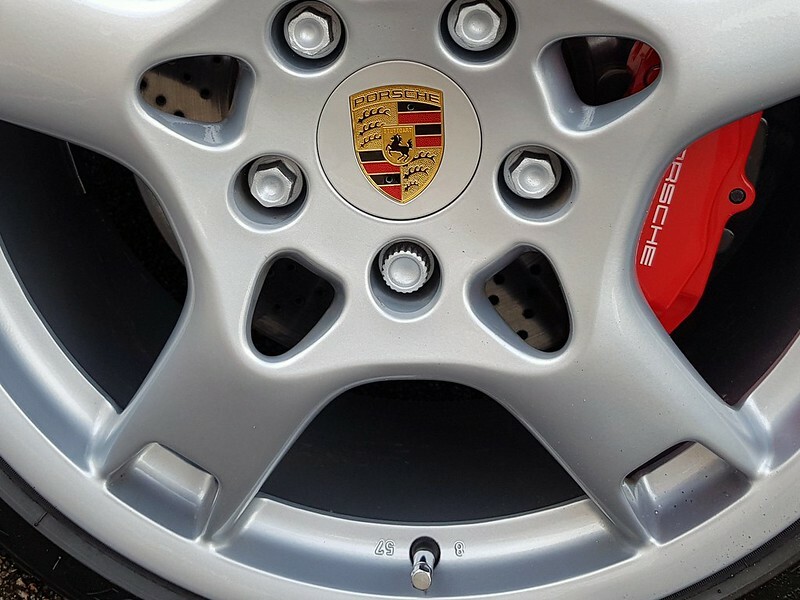 Wheel alignment is annoyingly still out, gave Torque Developments 2 opportunities now and despite them claiming it is spot on, it clearly isn't!! 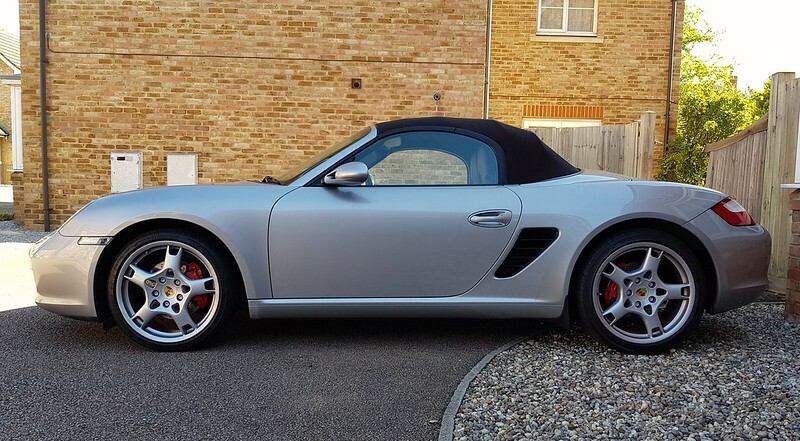 Long and short of it is, Ive lost faith with them and it's now booked in with Autostrasse Porsche specialist to do some investigating, hopefully under warranty, but nevertheless needs to be right. 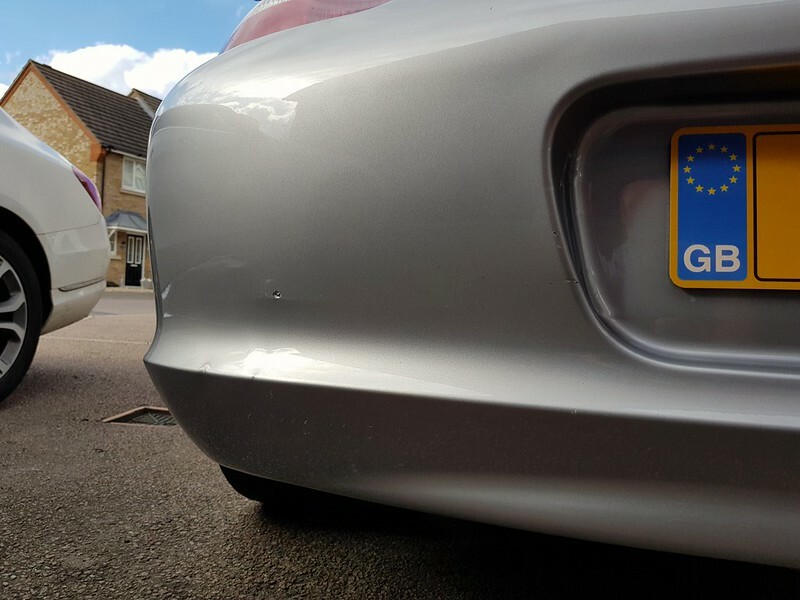 Had someone nudge the back of me at a junction, wasn't hit hard but warranted a new bumper due to the stress marks. 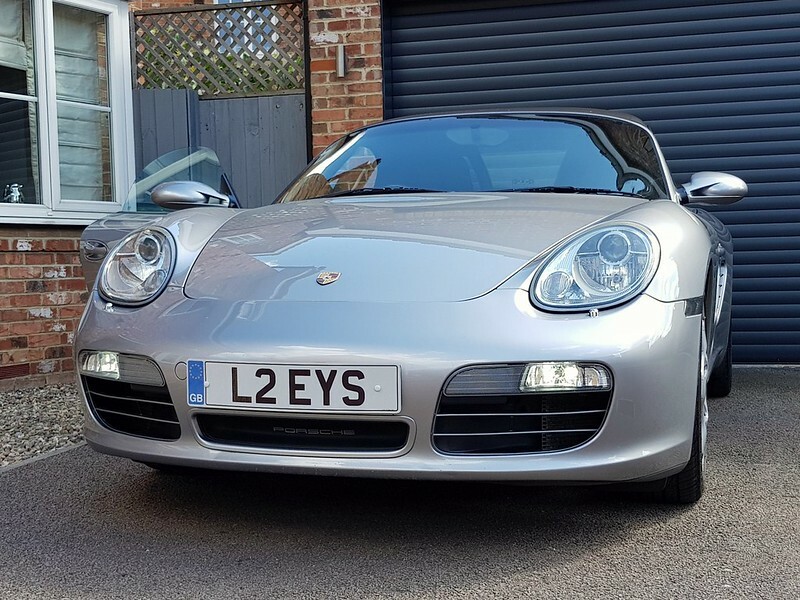 Nominated my own bodyshop through the insurance, only one place I'd trust and that was SL Restorations in Crawley, a Porsche approved repairer and faultless work. New centre caps, not originals but damn good value and quality. New Bridgestones N1 tyres fitted to the front. Running lights stay on with the switch at Home, and switch off when turned to side lights or main beam. 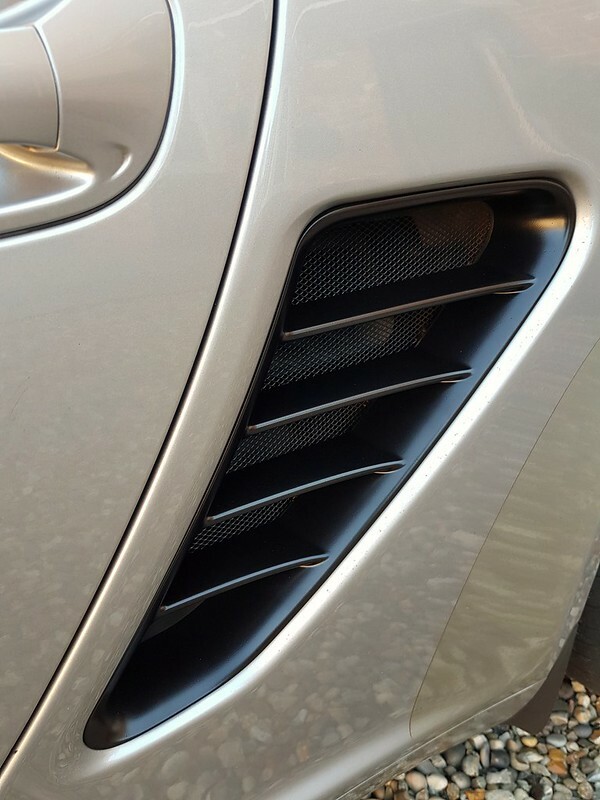 Painted the side air vents, the original colour was a bit lost with the silver paint, black shows the lines of the car so much better and looks more up to date. 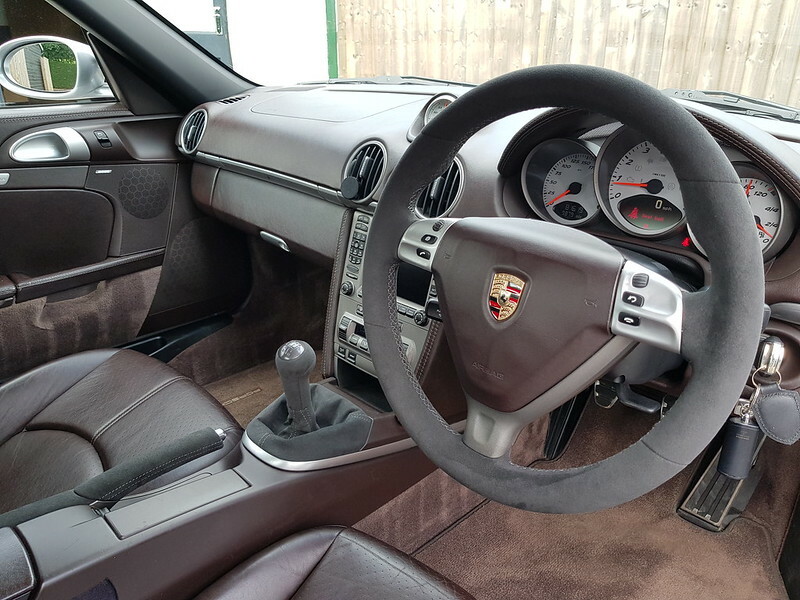 Had Royal Steering Wheels retrim with some Alcantara, the original wheel was too thin and lacked any feel, so thickened by 20mm and thumb grips added, also had the gearknob, gaitor and handbrake sleeve finished. 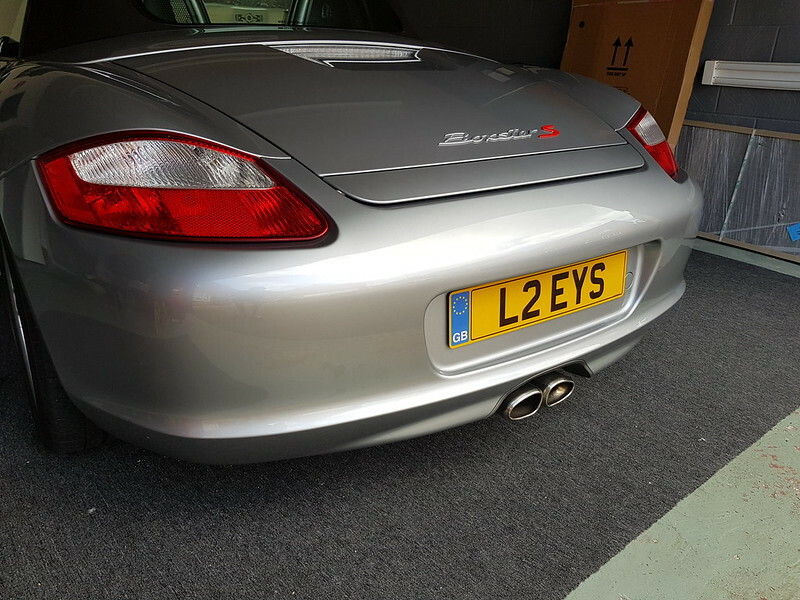 Plan to get some more noise from the exhaust, I don't want to fit a brand new system but have the option of a reworked original silencers and just fit some oem larger tailpipes from the Cayman R.
Last edited by Gleammachine; 08-09-2018 at 08:30 AM. Loving this thread. Great attention to detail and the mods are subtle. Are you finding the Plasti-Kote durable and resistant to scratching? Was it Plasti-Kote Super Matt? Last edited by DC240S; 08-09-2018 at 12:23 PM. Great job as usual, Rob. 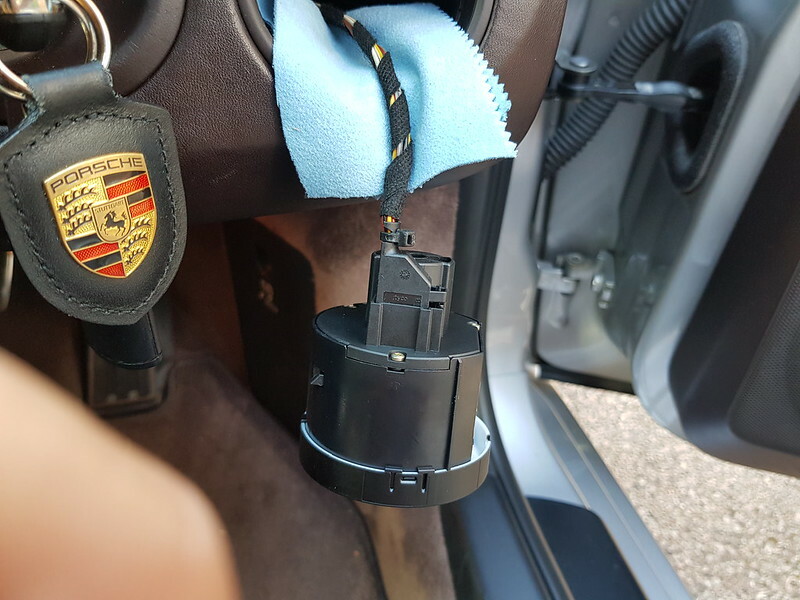 I generally stick to plugs every 4 years as they recommend and do the brake fluid every 2 years. Suspension is generally front end and gets replaced when the noises begin. Decent Indy or a set of chassis ears will help diagnose.